At the same time, 70% of EU citizens would like the European Union to intervene more on health. Ensuring that all European citizens can live healthier lives must be a priority for the next legislative mandate. In order to discuss how Europe could lead the way in combatting these challenges and championing positive developments, 28 organisations from within and across the health community have come together to organise a multi-stakeholder EU Health Summit. 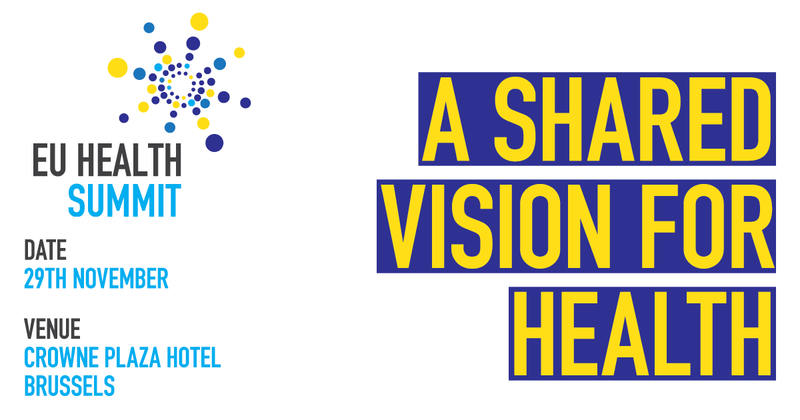 As we map the future of healthcare in Europe, the summit will examine the role of the European Union in helping European health systems to make the most of these opportunities for the benefit of citizens and patients, while following a sustainable path. Through this summit, the partners aim to distil recommendations for the next European Commission and European Parliament to bring the necessary changes about. The summit will take place on 29 November at the Crowne Plaza Hotel in Brussels. For more information, please visit our website: www.euhealthsummit.eu.